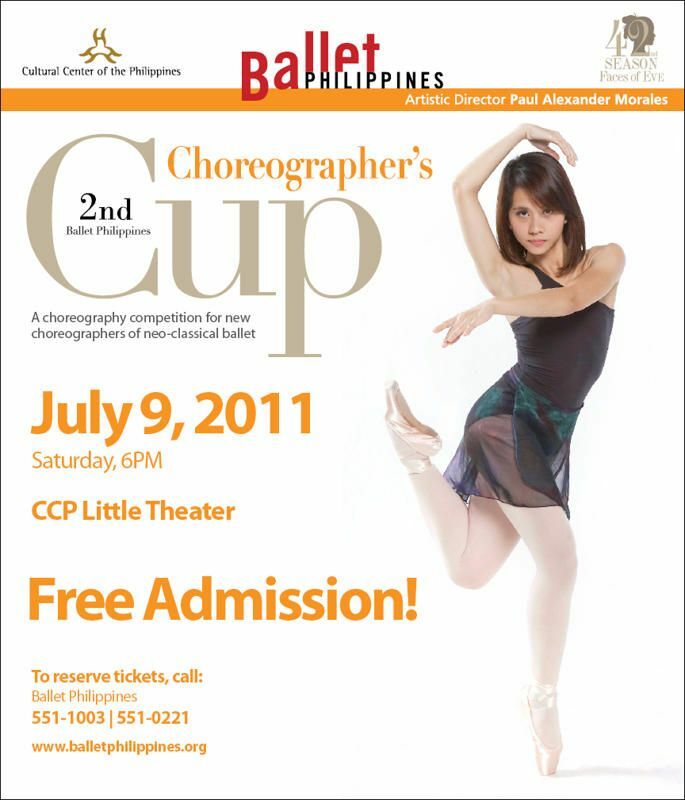 Ballet Philippines is inviting everyone to the performance night of the 2nd Choreographer's Cup on July 9, 2011 (Saturday) at 6pm at the CCP Little Theater. You can make a reservation by calling their number, (632) 551-1003. Admission is FREE. Cultural Center of the Philippines (CCP) is located at Roxas Boulevard, Pasay City, Manila.